Pastry Affair turns three years old today. While the thought that I have been doing this for so long feels a little surreal, at the same time it feels entirely expected; I can't remember a time when I didn't sit down each evening to play around with the blog in some form or another. Even though I never quite planned on it, I found myself partaking in the unavoidable tradition of combing back through old posts. The steady stream of recipes, photographs, and words from the past year act as a personal history for me. 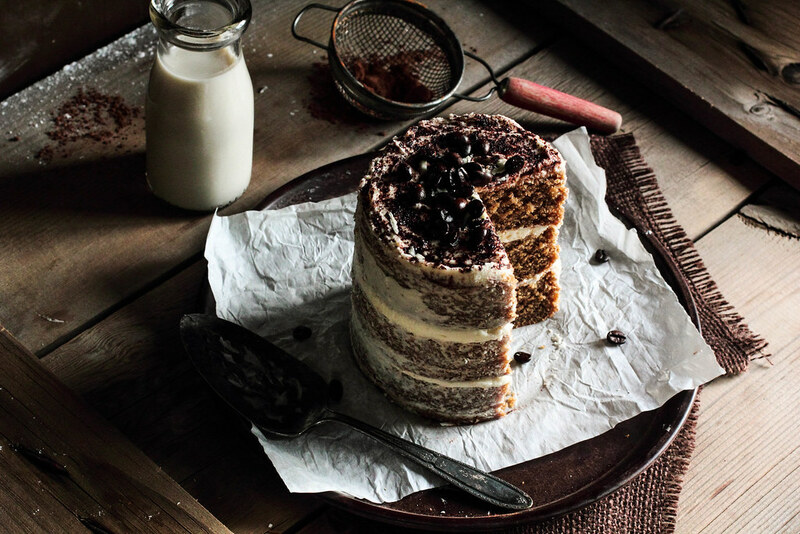 A small record of late night cravings, hours spent behind a camera lens, and several lengthy conversations about my love for breakfast—it's all there, buried between the webpages. The past year has been a quiet evolution. I am still growing as a blogger, though perhaps not making the large strides I did in the years before. Even so, I feel like I am finding more of myself in the photography and the words, slowly uncovering bits and pieces of my elusive voice. That voice can be so difficult to find. Throughout the last year I gave myself three challenges. The first was to eat (and bake) vegan for a month. Though it was difficult at first, I successfully completed the challenge and discovered a huge revelation about myself in the process—I'm lactose intolerant. At the time it seemed like an ironic fate for a purveyor of butter and cream, but I have since grown to accept it. Even though the recipes I share with you do not conform to this condition, you can be assured that in my own kitchen I regularly use dairy-free ingredients. Real butter, for better or worse, hasn't found a place in my refrigerator in months. The second challenge was to include metric measurements with the recipes whenever possible to make baking these recipes easier for those of you who live abroad. Lastly, and perhaps most ambitiously, I challenged myself to consistently develop my own recipes from scratch, to learn recipe development the hard way: through trial and error. To be quite honest, incredibly difficult moments and embarrassing errors were had in my kitchen, most of which I kept to myself. Though I have improved substantially since I began, I am still not immune to failures. Just this morning I tossed a batch of pineapple cakes, hot from the oven, straight into the trash can. Baking never fails to keep me humble. Truthfully, though I love the corner of the internet in which this blog rests, you continually make it something special. Through your comments, emails, and endless support, you have made these past three years possible. 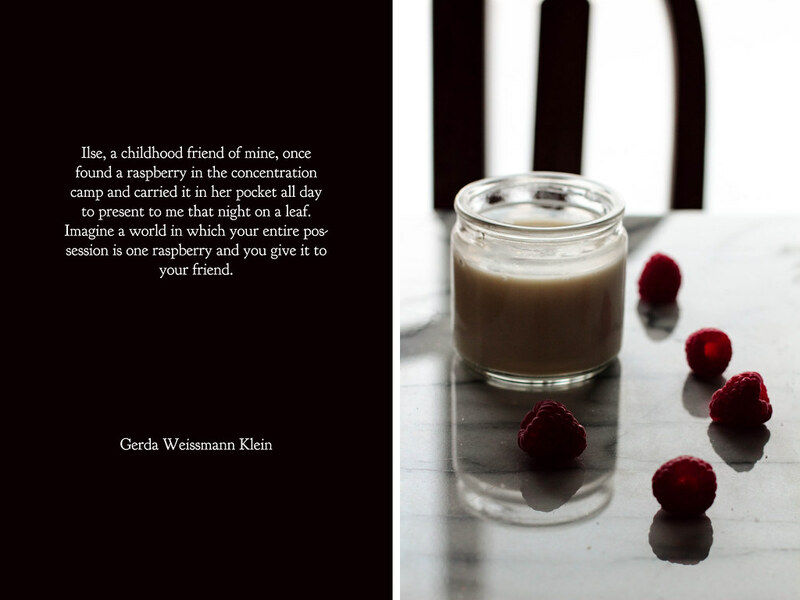 You have given me the inspiration to keep mixing together new ingredients, to spend time clicking away behind my camera lens, and to spend nights staying up late to share my thoughts with you. Thank you, from the bottom of my heart. 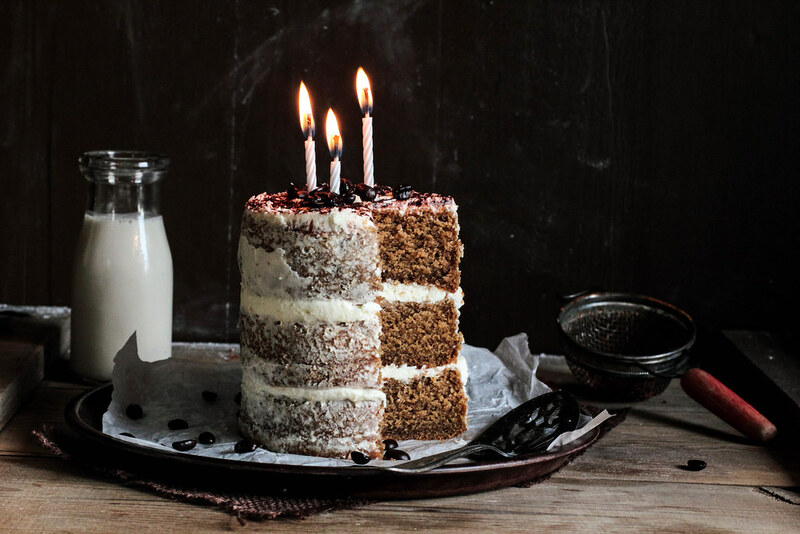 I have long believed that celebrations should involve cake and plenty of it. I think three years are worth celebrating, don't you? This cake went through a couple iterations before it reached this final product, but friends and family have all agreed that it is incredible. 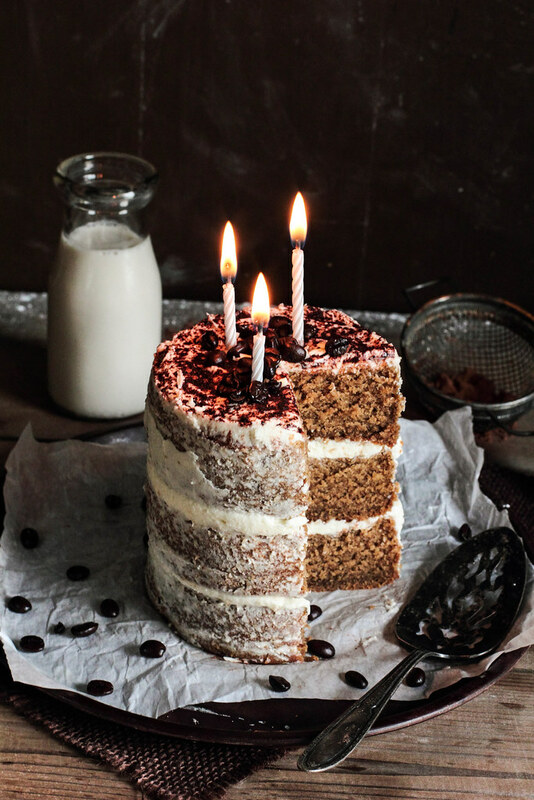 White Chocolate Espresso Cake is on the list of my favorite cakes to date. 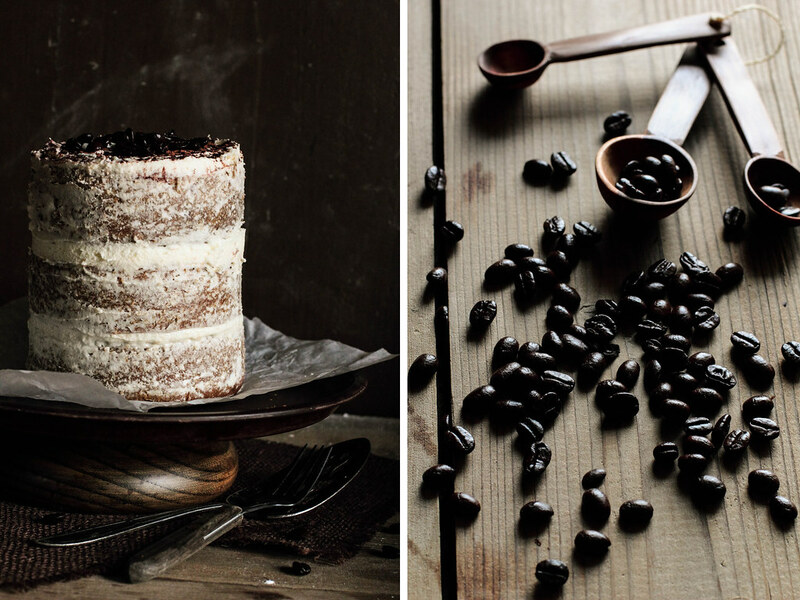 A basic white cake batter is infused with espresso and has a lovely coffee aroma when finished baking. 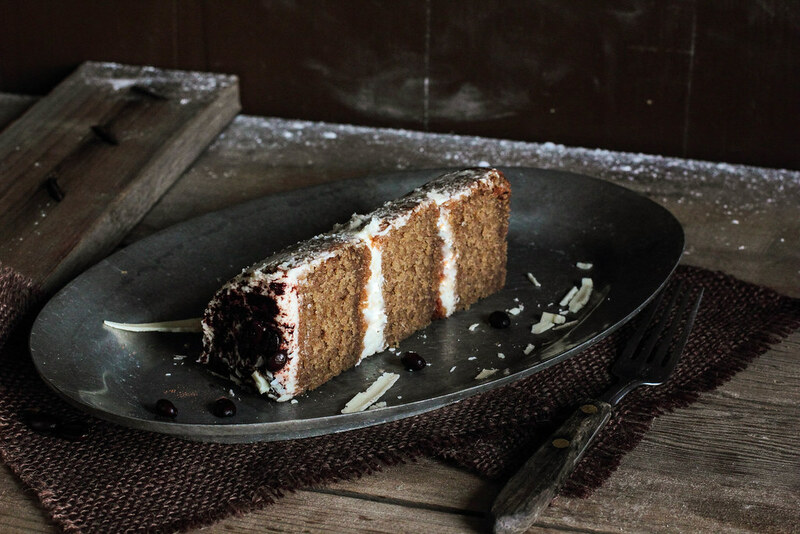 A white chocolate buttercream is spread around the cake; quite sweet, it is best used sparingly, but produces a complementary flavor to the cake. 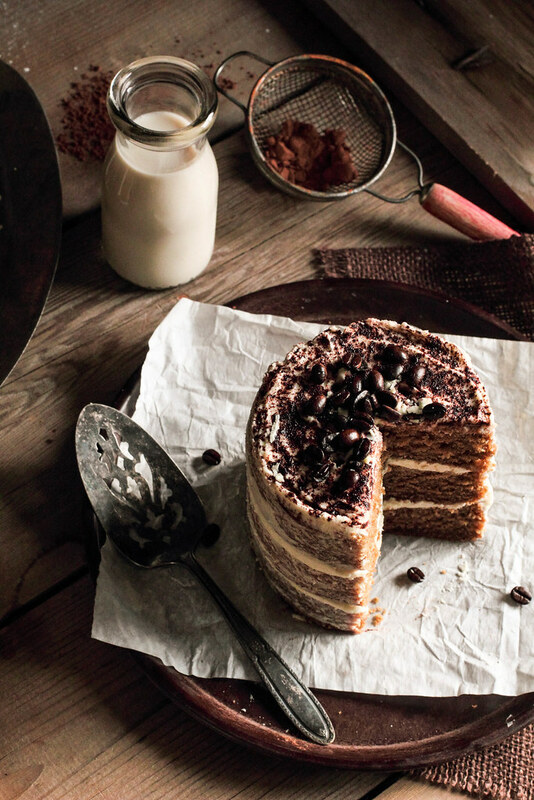 Topped with a sprinkling of cocoa powder and coffee beans, the cake becomes a work of art. 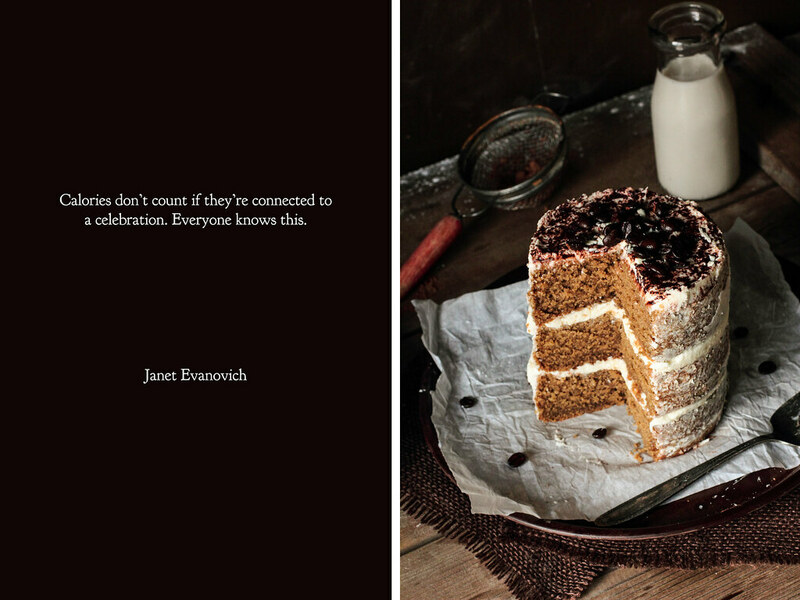 As Janet Evanovich preaches, calories don't count during a celebration and I am inclined to agree. Eat up, my friends. After a wonderful, relaxing holiday break, it is time to get back into the routine of everyday life. I have been resisting it, wanting to hang on to the languid afternoons and laughter-filled evenings with family and friends. It is hard to face the starkness of reality again. I find my feet tripping over themselves as I settle back into old habits and the mundane quality of everyday activities. I know I must cut ties from the holidays, so to speak, so I can face work and school with a clear mind, but it is proving harder than I anticipated. I am used to having long, slow mornings where my body can wake up with the sun and I can eat a quiet breakfast as my eyes adjust to the morning light. Life as a graduate student afforded me this small luxury, filling the rest of my afternoon with classes and homework until my job took over and filled my evenings. Mornings became my time to unwind, the small moments to share alone as I mixed up dough in the kitchen or watched the repetitious nature of morning talk shows. My schedule in the new year, however, is just the opposite. My alarm goes off well before the dawn and I stumble around trying to find my rhythm as my eyes burn under the yellow light of the apartment. I head out to work in the dark, arriving to a windowless room, wishing my tired brain had the capacity to remember to bring a cup of coffee. Most days I do not even see the light of the sun until mid-afternoon passes. My body is slow to adjust to the new routine, confused by the sudden lack of my natural alarm clock. Though my weekday mornings may have vanished, this only strengthens my desire to fully enjoy the slow pace of the weekend mornings. I usually like to make a special breakfast for myself, whether it be waffles, pancakes, or a modest bowl of oatmeal. 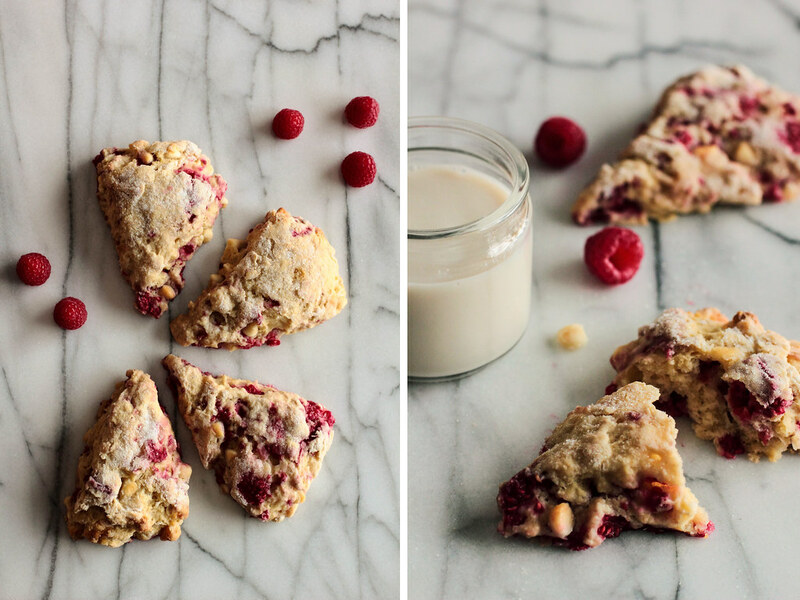 Over the holidays, I made a batch of these Raspberry White Chocolate Scones. They may be a simple pastry, but they lent a luxurious quality to the morning I made them and the mornings that followed. I think we all deserve to give ourselves a little morning luxury whenever we have the space. 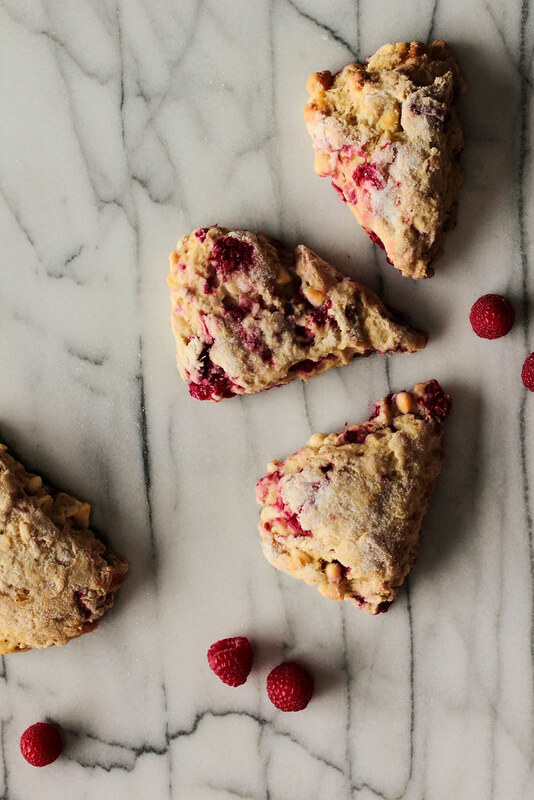 A good scone can start a quiet morning off just right. 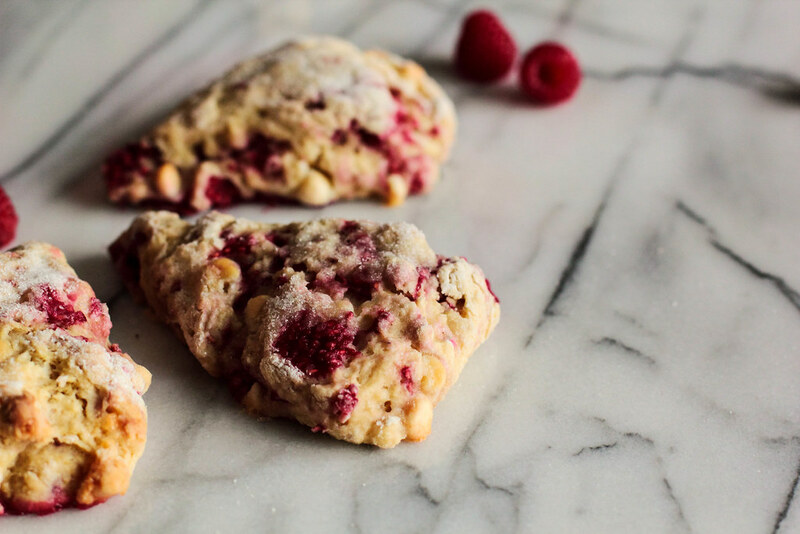 The sharp tones of ripe raspberries meet the sweetness of white chocolate in this delightful breakfast pastry. 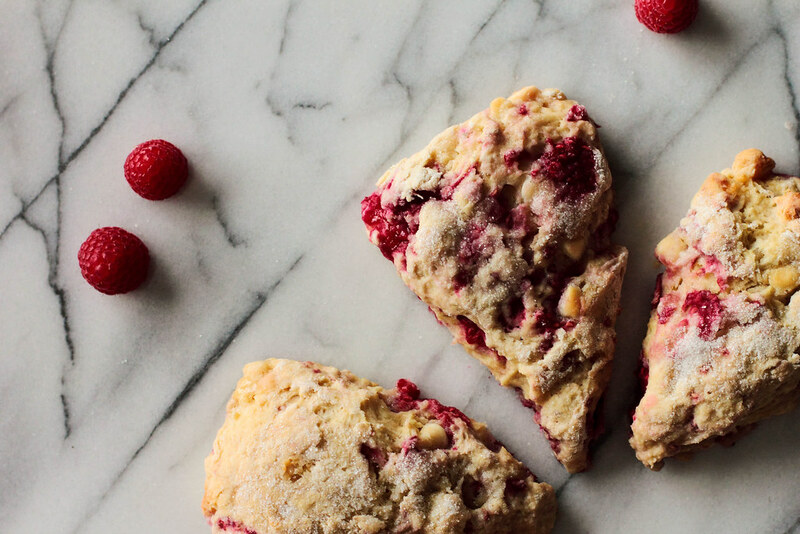 Raspberry White Chocolate Scones are carefully mixed together to keep the raspberries whole and sprinkled with a little extra sugar before baking. Perhaps what the photographs do not display well is just how incredibly moist and tender these scones truly are. These make for a lovely treat on a weekend morning with a cup of tea or mug of coffee.